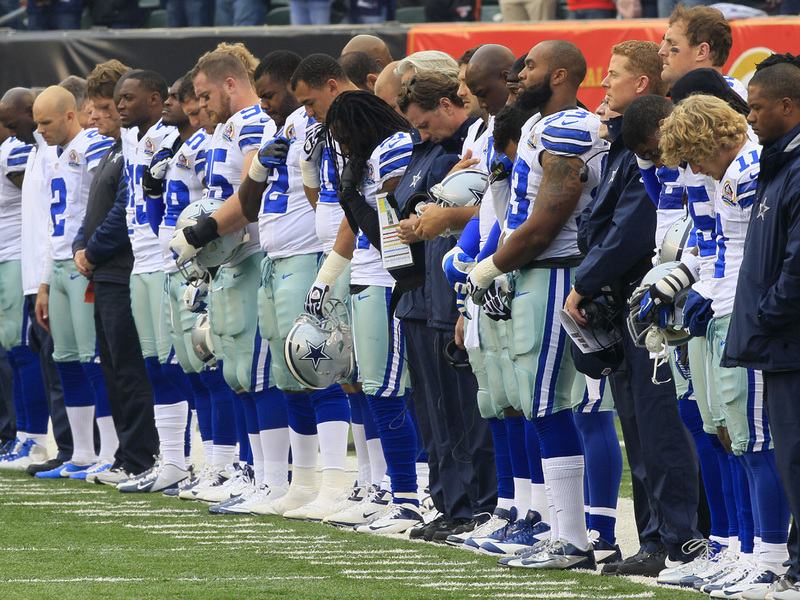 CINCINNATI Dallas Cowboys players bowed their heads and some of them placed their hands over their hearts during a moment of silence Sunday for a teammate killed in a car accident a day earlier in Texas. Owner Jerry Jones described his team as grieving before the kickoff of a game against the Bengals at Paul Brown Stadium that had playoff implications for both teams. The Cowboys learned on their flight to Cincinnati on Saturday that linebacker Jerry Brown had died in an accident overnight. Defensive lineman Josh Brent was charged with intoxication manslaughter in Irving, Texas, for the early morning accident. "First of all, I think that our team is grieving and they know that," Jones told Fox for its pregame broadcast. "They also know that they can handle that better if they will go out and do their work and do it to the top of their abilities. "So it is a way for them to respond and to some degree, I am sure that many of them are proud that they have this to do this afternoon." It was the second week in a row that an NFL team played a game one day after a team member died. Kansas City linebacker Jovan Belcher fatally shot his girlfriend, then killed himself at the Chiefs' practice complex in front of his coach and general manager.